Founded in 1886, Whittard of Chelsea is headquartered at Witney, Oxfordshire in the U.K. Offering fine tea, coffee and cocoa, this company is known for quality products around the globe, offering time-honored classics while keeping their finger on the pulse of modern innovations. In 1886, founder Walter Whittard set up shop and filled it with high quality tea and other beverages to share with his customers. It was the Victorian age, where tea sippers were eager to try products sourced from far-away places. 1861 – Walter Whittard was born into a family of leather merchants but his passion for tea led him to a path of his own, where he could also sample fine coffee and cocoa. His imagination and keen sense of connoisseurship helped shape his vision for a store of his own. 1886 – Walter set up his first shop at the age of 25 on Fleet Street, when gas lamps lit the city and horse-drawn carriages were a precursor to automobiles. It was a booming industry at the time and his store was highly successful, with hand-made blends and infusions catered to individual palates. 1890 – Through word of mouth, Walter’s brews became famous and he soon moved to London’s ‘Street of Tea’ at Mincing Lane. His expertise was in demand at the busy tea auctions in London and when the new century came about, many customers sought out his blends for afternoon teas and more. 1930 – The creation of ‘Barrister’s Refresher’ was popular with lawyers at the Inns of Court and his ‘Opportunity Blend’ was an inspiration in the depression, which was so popular it had its own floor in their warehouse. 1939 – After the war was declared, the Whittard warehouses were bombed, but with true British spirit, the family established new premises on Fulham Road in Chelsea. When the war was over and rations were dropped, their store became a tea-time hotspot for Whittard of Chelsea’s loyal customers. Throughout the 1900’s, this tea company continued to expand and create new beverages sourced from all over the world and to this day they stick to their founder’s philosophy to buy the best tea and to ‘blend the brightest’. With brave new brews and infusions, Whittard of Chelsea uses innovative processes and equipment as well as selling classic chinaware. Their expanding tea collection has been over 100 years in the making, with a focus on crafting only the best blends for a truly excellent cup of tea. Called a monthly ‘Tea chest’, this company is proud to offer what they call a first-class ticket to the world of tea. Each month, participants receive 3 premium loose leaf teas, tasting cards which include expert insights, exclusive discounts and sneak peaks of future products in the making. The first tea chest provides customers with a free tea measuring scoop and a welcome booklet. Members have the opportunity to give feedback which may be used for the development of future blends and they have access to members-only competitions. Providing specialty beverages from all over the world, which include fine quality loose leaf tea and classic breakfast teabags. With choices ranging across contrasting tones and complementary flavors, they offer black, white, green, yellow, oolong and pu-erh teas and blends. When Walter discovered that Queen Victoria was a fan, he developed his distinctive blend sourced from several tea gardens in West Java, which has been a favorite for over a century. 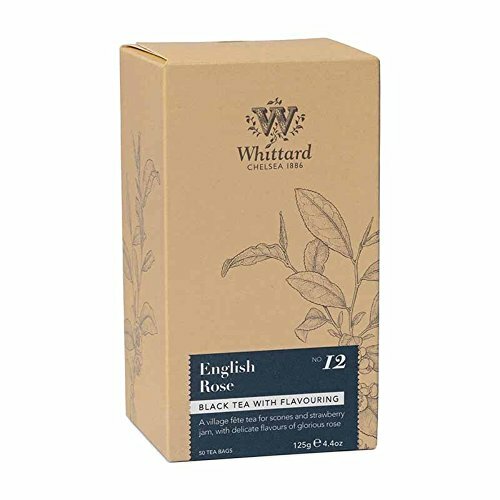 Smooth, invigorating and robust with a rich, malty flavor, this is a delicious English Breakfast tea to start your day. With a classic Chinese black tea as a base, this blend is infused with rose petals to create a floral and delicate cup that is seductively sweet. Evocative of a picnic on the village green, you’ll enjoy the aromatic notes that give you the experience of a true, English rose on a warm afternoon. 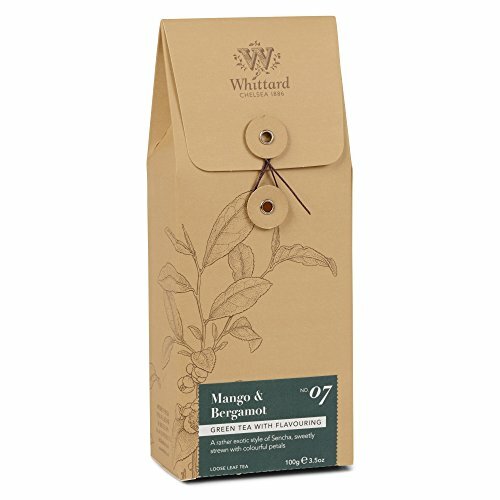 This is a sophisticated green tea naturally sweetened with mango and bergamot, creating an exotic blend that was a Great Taste award winner in 2013 and 2014. Clean and fragrant, this tea is scattered with sunflower, blue cornflower and rose petals which give it a pleasantly satisfying finish. Whittard of Chelsea also have a delightful range of tableware, tea accessories and sets which include an Alice in Wonderland collection, complete with the original drawings from the well-loved story. Along with hot chocolate and coffee, this company is a treasure for those who enjoy everything about a quality cuppa.